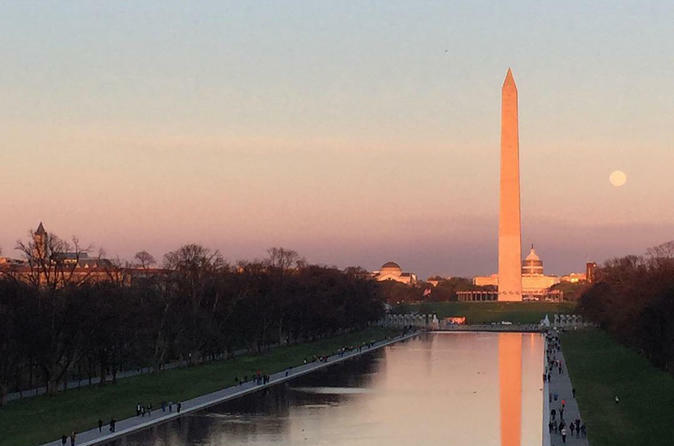 Explore the west side of the National Mall with this 2-hour, small-group walking tour in Washington, DC. See where DC's original city plan is laid out with iconic monuments and memorials, like the Washington Monument, the Lincoln Memorial, the White House, the Vietnam Veteran's Memorial, and more. Visit some of Washington's most notable landmarks and learn how this monumental core took shape in the city. This small-group walking tour explores some of Washington, DC's most famous icons through an architectural and urban design lens. Beginning at the Washington Monument Lodge, just to the east of the Washington Monument, the guide will lead the way through the design and urban history of the nation's capital and its monuments. Walk approximately one mile at a leisurely pace, spending about two hours on the National Mall. Sights discussed include the Washington Monument, the White House, the National World War II Memorial, the Vietnam Veterans Memorial, the Korean War Veterans Memorial, and the Lincoln Memorial. After learning about the architecture and design of these famous, historic landmarks, the tour will complete at the Lincoln Memorial.